This all played out in eastern Uganda. 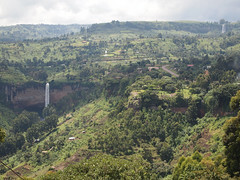 I was doing a loop tour, through the north, then swinging east to arrive near Mount Elgon. That's a massive former volcano that has left a range of mountains which are now home to lots of people and animals. Still, there's lots of space for the rest of nature to still be itself. 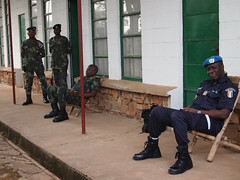 Part of the mission I had in the DRC was to assist the Military Court to do a trip to Kasongo. The purpose was to get the Court to Kasongo so that they could have two trials. That’s what happened. 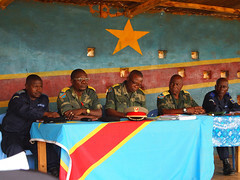 In May of 2012 I had the chance to go with the military court to Kasongo, DRC. One morning on route to the court, the military prosecutor wanted to do some shopping at the local market. So that’s what we did. If someone from Africa said to you “my life here is really quite easy and I enjoy it a lot,” then you almost can be sure you are speaking to one of it's despots, dictators, or exploiters. There is and has always been so much loot for the grabbing here that there's no shortage of grabbers. 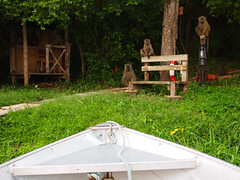 For example, these baboons will gladly swipe anything you leave lying around. One tore through my tent screen a few weeks ago, ripped around the tent and then left, leaving entry and exit wounds in the screen. 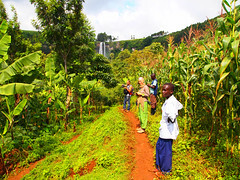 I've chosen to start with my favorite photo from the many taken at this terrific piece of nature in southern Tanzania. 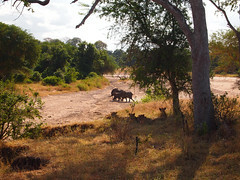 The game reserve is the largest in Africa and has some 4,000 lions along with lots of others that live in a constant state of alert. That's what happens when you have lions as neighbors. 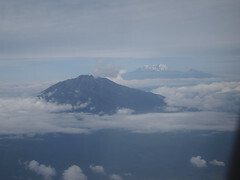 Before we get some shots of Kampala, this is a gratuitous shot of Mount Meru and her cousin Mount Kilimanjaro.